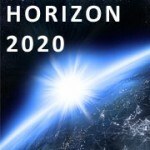 The European Commission published the latest round of Calls for Proposals under Horizon 2020 on 1 January 2014. JTI open and forthcoming calls are accessible via the Participant Portal call service, see Search Topics page. These initiatives will have their own calls for proposals, some of which are published on the Participant Portal and some on their specific web sites. Find out more in the section of Other funding opportunities. The rules and procedure of submission of applications are specified in Annex F – Rules of Contest (RoC) for Prizes to the work programmes. You can find the detailed description of types of actions in the General Annexes of the Main Work Programme and to the ERC Work Programme. The actions include: Research & Innovation; Innovation; Coordination & Support; Grants of the European Research Council (ERC) to support frontier research; Marie Skłodowska-Curie (MSCA); Cofund; and SME Instrument. UKRO – The University subscribes to the UK Research Office which has useful information to help University Staff and Researchers. You can also subscribe to receive email information tailored to your research area. RKEO Quick guide to Horizon 2020 and RKEO Quick guide to Marie Skłodowska-Curie Actions (MSCA). If you would like any advice or guidance on Horizon 2020, or help with proposals, please contact Emily Cieciura, RKEO EU and International Research Facilitator. 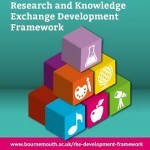 The RKE Development Framework offers a pathway specifically for international funding, which offers information, advice and guidance on the major international funders, together with the opportunity to come along to a bid writing retreat led by an external facilitator.